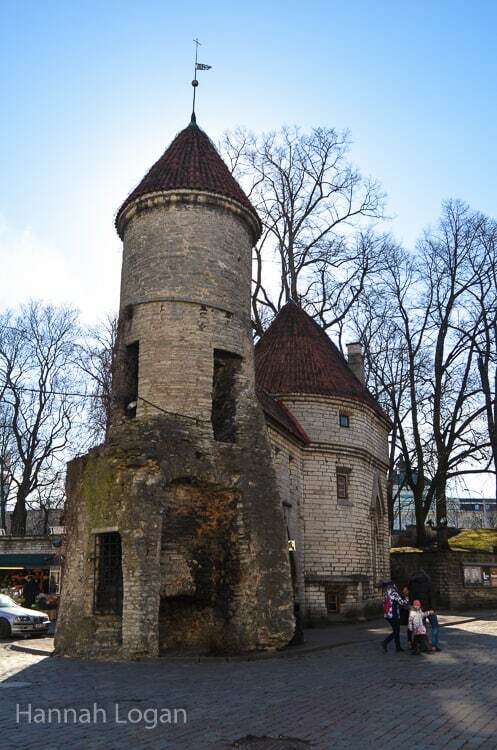 Tallinn had been on my ‘must visit’ list for years. A random place? Probably. Especially considering most people I spoke to at home had never heard of it. But, after hearing about the Baltic city from my uncle in the military, I was pretty set on seeing it for myself. Mainly because he told me it looked straight out of a fairy tale, and we all know I’m a sucker for fairy tales. Last March I finally made it to the supposed fairy tale capital of Estonia, and it completely lived up to my expectations. I fell in love as soon as I walked through the stone gate into Old town. I loved the orange rooftops, the uneven cobblestones beneath my feet, the winding alleyways, and the low doors that made me to duck to fit under them. It was everything I love about European cities. Aside from the story-book charm, I was blown away by the kindness of the locals. An elderly man was quick to approach me when he saw me struggling with my map when I arrived. And later, a woman on the bus helped me find my way, despite her inability to speak English. As a solo, female traveller, their kindness meant the world to me. I know more than anyone else that not everyone is willing to go out of their way to help a stranger. Those in the tourism industry were equally kind. 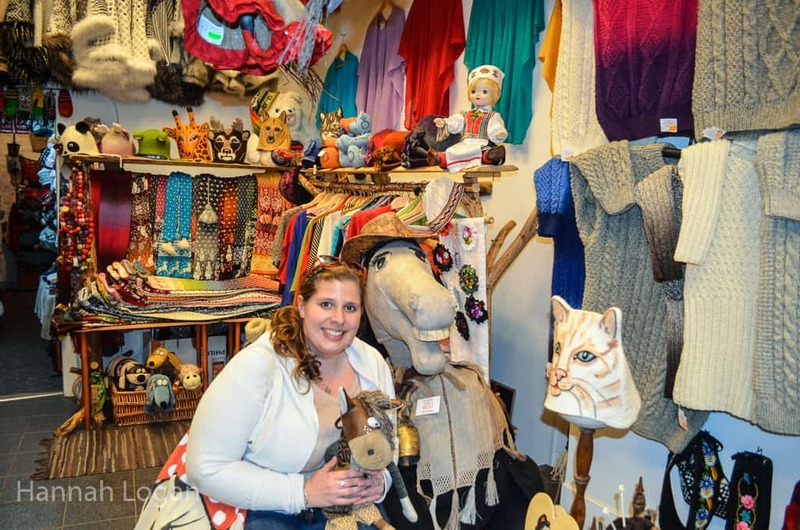 I was always greeted with a smile when I entered a shop, and never felt pressured. At least not to buy anything. But I did manage to get myself into a very strange situation. To be honest, I’m still not entirely quite sure what happened. One minute I was browsing Tallinn-themed shot glasses in a quaint shop, the next; one elderly woman was tugging me towards a wooden bench while another lifted my camera from around my neck. Though they did speak some English, it wasn’t a lot, and all I managed to catch was ‘nice’ ‘Billy’ and ‘photo’. Before I knew it, I was posed on the wooden bench beside a giant stuffed toy horse (Big Billy) while holding his baby brother (Little Billy) for the women to take a seemingly endless amount of photos with my camera as well as with her own. My impromptu photoshoot lasted about five minutes. I had to change my pose, pull forward my (messy) hair, and move Little Billy so he could be better seen. What they couldn’t adjust was the awkward smile on my face. I was worried about what they wanted; after all, I had previous experience being chased through Venice for taking photos of masked ladies, and hustled in Ireland for taking a picture with a Leprechaun. I knew all about the price of fun photos. Turns out they didn’t want a thing. They just wanted to have some fun with a stranger, do something to give them a laugh. And I was all for it. After all, interacting with the locals is one of the best parts of travel. When they finished I was rewarded with a couple of hugs and an invitation to come back anytime. And, of course, another random story to add to the books. Has anyone else out there posed with Billy? What a lovely story! And what a beautiful place! I love when people offer help just because they see you are having difficulties. This is what it makes any journey worthwhile! Exactly, I’m so grateful when people do! And, having been the confused person many times, I find myself quick to help out others I see. Great post Hannah! 🙂 I loved my stay in Tallinn. I’ll have to check it out if I go back! I bet summer is gorgeous! Thank you for sharing these beautiful photos! 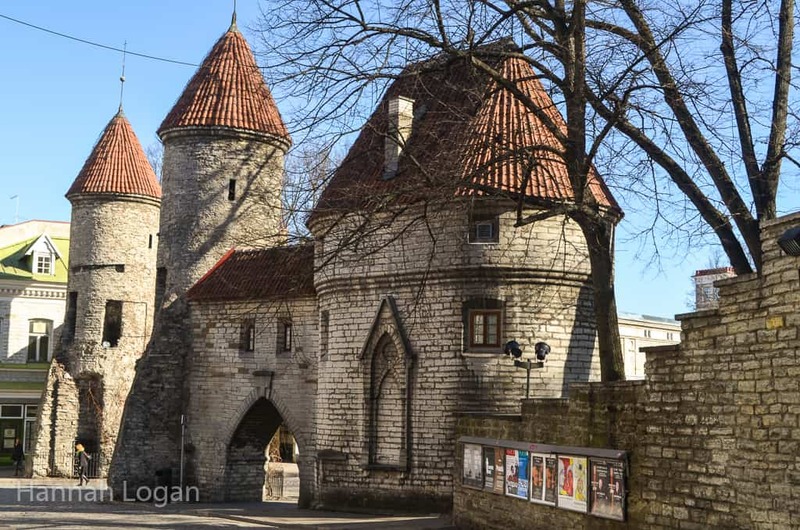 Now I see why Tallinn is famous for its Medieval charm. HAHA, I love this story and the picture! How random! Did you ever find out if Billy has a significance? I really really want to go to Tallinn, ever since D’s dad said he loves it. It does look like a fairy tale medieval town! As far as I can tell, it was just a random horse in the store, lol. 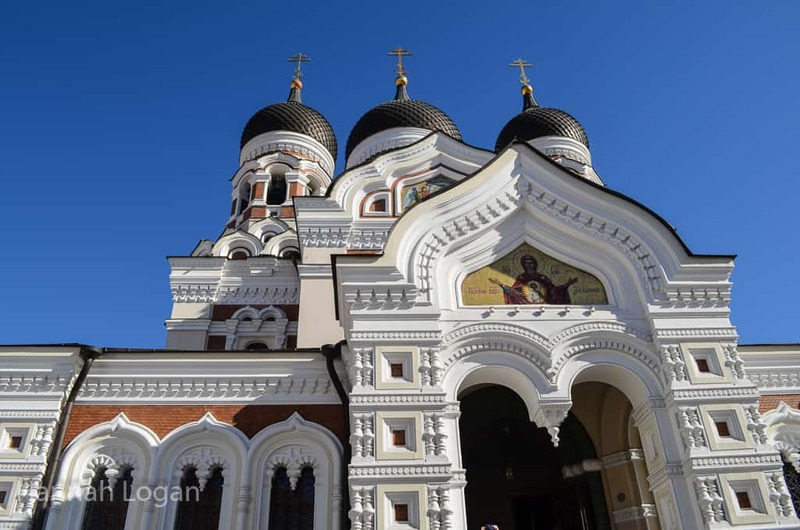 Tallinn was gorgeous 🙂 you need to go! What a cute little place! The architecture is a-goddamn-dorable, I would love to see this place for myself as well. It is SO cute, and only better in person! Me too. I love the old world look. They were SO nice. I was honestly blown away. Omg please do! Then we should create a fan page. It’s fantastic you’re willing to travel alone because I won’t even venture outside of a 25 mile radius by myself. And I love to visit new places, but I’d either be so worried about someone scamming me somewhere or actually having it happen, I wouldn’t be able to enjoy myself. Plus on a solo trip to Italy to visit a relative, I ended up losing my passport and finding it on the naval base. I’m probably not the best person for the job 🙂 Can’t wait to see more of your adventures and I can only imagine how wonderful of an experience it’s been. Although I agree with you that many people find it strange, the Baltics have been on my list for quite some time too! (So, I totally get it). 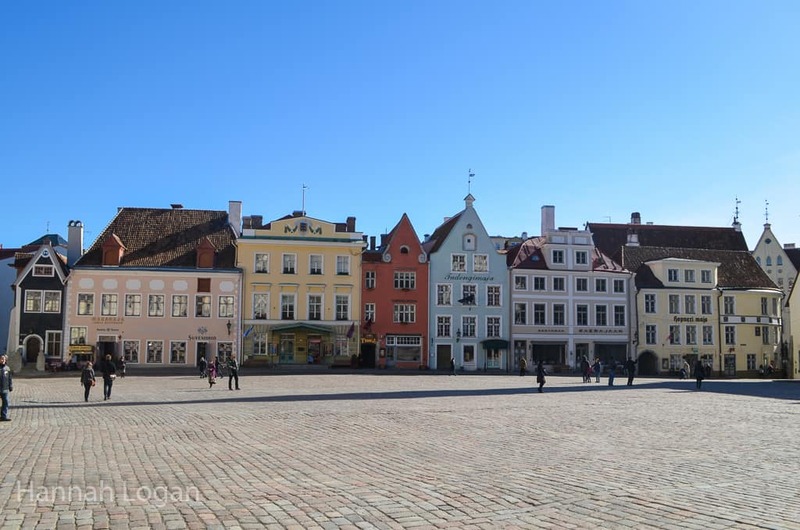 I’ll have just shy of 2 full days to explore Tallinn, although I’m sure I will wish I had more time! You’ll just have to go back 😉 Have fun!